Instagram used to be exclusive to the iOS platform until the popular photo sharing app decided to make its way to the Android devices. Now, The Verge claims that it will be heading to Microsoft’s latest Windows Phone operating system. Nonetheless, The Verge later mentioned that this particular app seen during the video might have been Vimeo instead but that they have “confirmed separately that Instagram is coming to Windows Phone”, most likely before the end of 2012. Microsoft’s Windows Phone 8 is finally starting to look like a mobile operating system that can compete with iOS and Android. Nokia’s colorful and feature-packed Lumia 820 and 920 Windows Phone 8 smartphones only serve to cement that feeling with wireless charging and a PureView camera. But the platform really needs some killer apps to give it a boost, and it looks like one of the biggest is on the way: Instagram. According to The Verge’s anonymous sources, Facebook’s (FB) newly completed acquisition is headed to Windows Phone 8, retro-filters and all. It’s not exactly new news that Instagram is a social sharing juggernaut — it now has 100 million registered users who have collectively shared 5 billion photos. If there’s one app out of the 100,000 currently available on Windows Phone that could turn Microsoft’s woes around, it’s Instagram. ‘Instagram 2012’. – Because of many users use ‘Instagram’, it is make ‘Instagram‘ as start-up application very popular today. 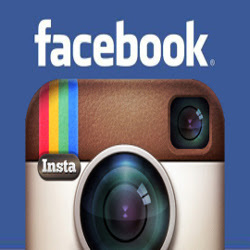 Moreover ‘Instagram’ now exceeded 50 million users. The first step you do before uploading your photos is to edit it first. Similarly, by Instagram users who upload high-quality photographs. They could not edit an existing application in Instagram. To be able to produce good photographs you need to use other, more sophisticated applications, such as Adobe Photoshop. Although a bit difficult but it would be how many followers you might achieve if you are always deliver quality photographs. The existence of Instagram actually lead to more candid moment, composition, and a charming cast filter the captured image to the phone. Therefore, use of camera mobile phone. In Instagram, quality is more important than quantity. Do not flood the feed to post photos taken from the same scene. Select only quality photos that you have a way to edit the photos first. It must be noted that if you do a photo-sharing to the public. Although it can not modify the caption, you can delete them by choosing a photo to go to, go to the Comment feature, then do a sweeping motion with your finger from right to left. A Delete button will appear instantly. This step also serves to remove the Comment. Much like Twitter, Instagram also has the function of ‘Mention’ by typing @ and then followed by the name of the destination. There are two ways to mention, that is by typing the name of the person designated in the image caption, as well as via the comment feature. As we often encounter on Twitter. By adding the hashtag (#), the photos you upload to Instagram will be on-click the time of publication. Other users click on the photo will be taken to a page where the photos using the same hashtag will be organized in one place. Although Instagram photo-based applications, but that does not mean you shut yourself from the conversation. When there is a comment on photos, reply with a positive response. Follower you will feel appreciated with the responses you give. Thus ‘7 Tips for Playing Instagram for Newbie‘ hope to provide additional information that is clear to you a new user Instagram today. 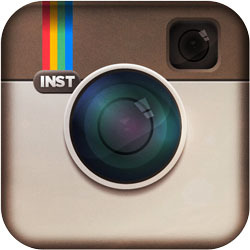 Instagram, after a long wait, is now available for Android Tablet and Dual Sim Cell Phone users. Instagram was bound to come to Android due to its worldwide iOS following — but when was the question. Now, Android users can finally enjoy the popular photo-sharing app on their smartphone devices. After registration opened last month, users were able to sign up with their email address, in order to be first in line and notified when the Android-enabled application is released. Now available in Google Play (previously the Android Marketplace), it is not only the legion of iOS user fans that can take, edit, upload and share images via the app after its debut in October 2010. There are alternatives to this free app that are currently available on Android devices; such as Lightbox, Vignette and Camera360 — but it can be expected that Instagram will quickly become a hit; if the features available function to the same standards as the iOS version. Currently, any phone running Android 2.2 or above is compatible, but tablets running Android systems are not. 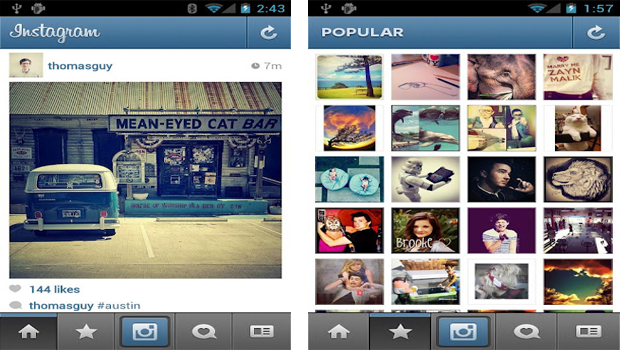 The Instagram app’s popularity lies within its simplicity of use. After taking a quick shot on your camera, the image can be applied with a range of filters to transform an otherwise standard image. Upload it, post it on social networks or the Instagram site itself, and share your work with other Instagram or photography fans. According to r4i3dshouse, the Instagram site gets 300 million page views per month, and so its inclusion on Android devices is likely to cause a surge in its already impressive growth.